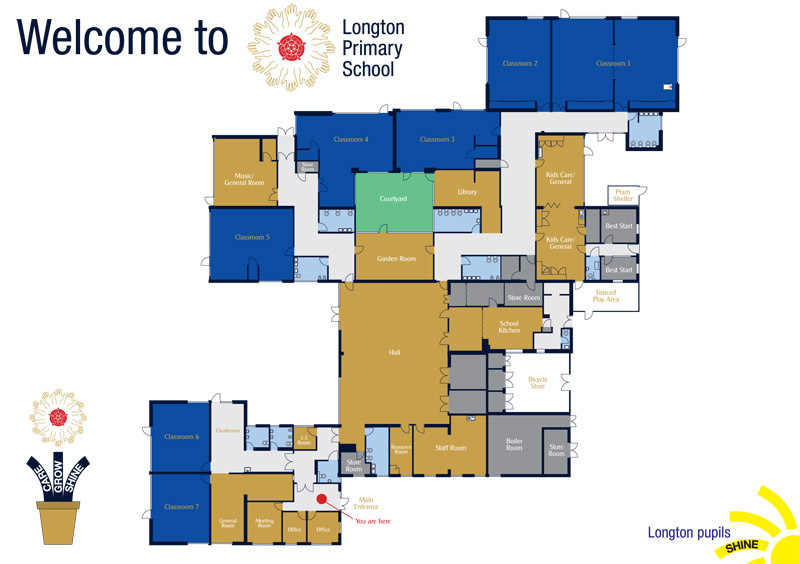 Longton Primary School is situated in the village of Longton not far from Preston. Set in a quiet, semi-rural area we pride ourselves in offering a broad and balanced curriculum whilst maintaining a caring atmosphere. Please keep an eye on our site for new additions, photographs, movies, examples of your children's work and useful sites for your children to visit. Click here to view our Headteacher's welcome, click here to download the full floor plan, click here for school performance tables. Our names are Darcey Johnson and Hannah Cowley. We are part of the Longton Primary School Heads Team along with four other pupils. We are writing today to share some of our favourite experiences from the very beginning to the end of our school lives at Longton. At Longton Primary, we participate in a wide variety of amazing activities - in Year 1, a visit that will last long in the memory was our outing to Underwater Street. This is an activity centre filled with lots of science challenges. Some of these involve: making a magnet; getting put inside of a giant bubble and other team building exercises. There are many more fun and educational trips we could mention; however, that’s only giving you a small glimpse into our primary school experiences. We shall continue our letter by telling you about our everyday lives at Longton Primary. In the morning, we wake ourselves up by doing a shorter lesson e.g. Punctuation and Grammar or in the younger years Phonics. After break, we typically do Maths and English. In the afternoon you usually do a wide range of fun lessons such as Art, Topic, and P.E. Next we would like to mention our teachers. They always make learning as fun as possible and are easy to talk to if you ever get in a tricky situation. The teachers at Longton make sure that you are always content and involved in any activities-whether they are in the classroom or on the playground. We hope your child enjoys Longton Primary School as much as we have! In caring about excellence and each other, and in promoting enjoyment and happiness through fulfilment. Click on the images below to see a full outline of our aims.